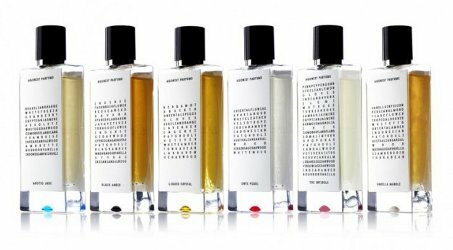 Swedish niche line Agonist Parfums will launch White Oud (not shown), a new fragrance celebrating the brand's 10th fragrance launch: "Ten special ingredients, ten tempting aromas, ten years of dedication." To celebrate the release of the tenth fragrance in the collection, AGONIST has created a unique and truly exceptional perfume that combines the depth of OUD with the light and crisp feeling of the Scandinavian north. Exotic touches of ylang ylang flowers, patchouli, and tonka beans are balanced with cypriol and a poetic white musk accord. An ode to the intricate mystery of Nature- a pure essence, whose olfactory sensation is as striking as its caress is delicate on your skin. Additional notes include violet, lily of the valley and rose. Agonist White Oud will be available in 50 ml; look for it in October/November. I’m sorry but this seems like a very dumb combination. Oud does NOT in any sense bring the Scandinavian North to mind and does not seem to play well with violet and lily of the valley??!! I think this is a prime example of just adding in oud to ride the trend, no thought to actual mix, and a bad idea. I adore oud (yes yes most of you are sick of it) and I went YUCK when I read this. I was mostly stuck on the “poetic white musk”, LOL…I’m probably not going to love this either, but you never know.